There were 260 press releases posted in the last 24 hours and 153,574 in the last 365 days. 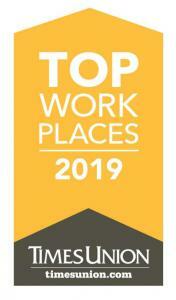 ALBANY, NY, UNITED STATES, April 15, 2019 /EINPresswire.com/ -- Auto/Mate Dealership Systems has been awarded a Top Workplaces 2019 honor by The Times Union. The list is based solely on employee feedback gathered through a third-party survey administered by research partner Energage, LLC, a leading provider of technology-based employee engagement tools. The anonymous survey measures several aspects of workplace culture, including alignment, execution, and connection, just to name a few. This is the eighth year in a row that Auto/Mate has won the award. Auto/Mate ranked third place in the mid-size employer category. “There's no real secret to becoming a top workplace, you just have to put the wellbeing of your employees first," said Mike Esposito, president and CEO of Auto/Mate. “When you care about your employees they care about your company and work hard to make it successful." Auto/Mate has also been named a Best Places to Work in New York’s Capital Region by the Albany Business Review journal for nine years running; and has been honored multiple times as a Highest Rated and Top Rated DMS in the DrivingSales Dealer Satisfaction Awards. Auto/Mate Dealership Systems is a leading provider of dealership management system software to retail automotive dealerships, typically saving dealers thousands of dollars per month from their current provider. AMPS® is a user-friendly, feature-rich DMS in use by more than 1,400 auto dealers nationwide. Auto/Mate has received multiple consecutive DrivingSales Dealer Satisfaction Awards. Auto/Mate’s employees have more than 1,200 years of combined experience working in franchised auto dealerships, the foundation of its By Car People, For Car People™ slogan. Auto/Mate is committed to winning its customers’ business each and every month with no long-term contracts and free software upgrades. Headquartered in Exton, Pa., Energage is a leading provider of technology-based employee engagement tools that help leaders to unlock potential, inspire performance, and achieve amazing results within their organizations. The research partner behind the Top Workplaces program, Energage has surveyed more than 57,000 organizations representing well over 19 million employees in the United States.